Over the past year, I have been working through Mona Brookes' Drawing with Children with my older two kids – currently ages 8.5 and just turned 6 (so they were 7.5 and 5 when we started). This is one of those books that I bought a long time ago because it is mentioned so often in homeschooling circles, but then it sat on my shelf for the next two years because it completely overwhelmed me. I finally pulled it back out last summer because a friend of mine was using it with her children and I was so impressed by their work that I figured it was worth another go. I'm so glad I did because I've been impressed with the progress we (meaning the children and myself!) have made. The first lesson walks through learning to see the 5 basic elements of shapes (dots, circles, straight lines, curved lines, and angled lines) that make up any object. The basic premise of this book is that once you can learn to see these basic elements in the objects around you and learn to reproduce them, then you can draw basically anything by putting them together in basic combinations. 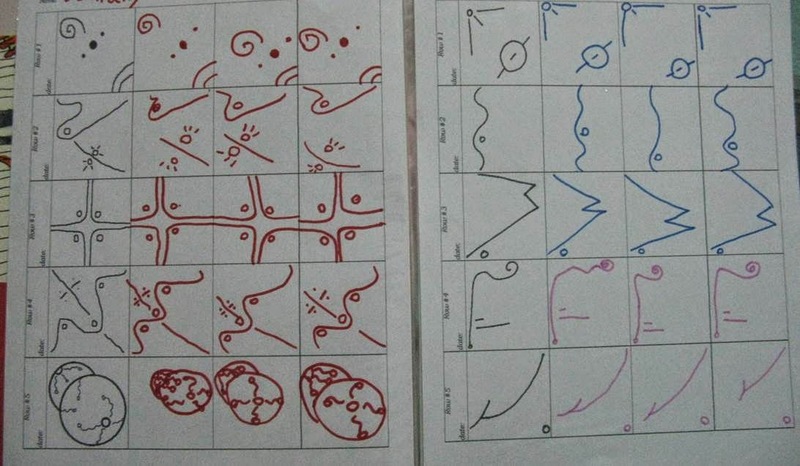 The first lesson takes you through a series of exercises that help you to identify and reproduce these 5 elements, concluding with instructions for drawing a simple bird using these shapes. I found the lesson plans at Donna Young's site helpful for breaking this lesson down into activities that I could accomplish in a 15-20 minutes drawing session with my children. She also has some downloadable sheets that you can use for the reproduction exercises suggested in the book. 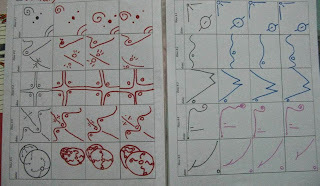 Sample of some of the reproduction exercises suggested in the first lesson of Drawing with Children. The idea is to learn to see the shapes and lines that you see and reproduce them - first with abstract items, and later with real ones. 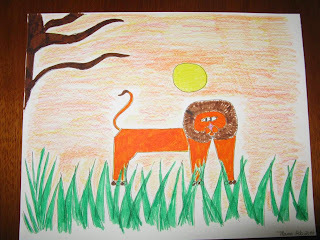 The second lesson is called "drawing from graphics" and builds on the previous lesson. (Donna Young also has lesson plans for this lesson which I didn't follow exactly, but again it was helpful to me in terms of wrapping my mind around how to break down the wealth of information in the chapter into manageable chunks.) This lesson provides a sequence of progressively difficult drawings and instructions on how to draw them, putting to use the idea of combining the different elements of shape to make something recognizable. 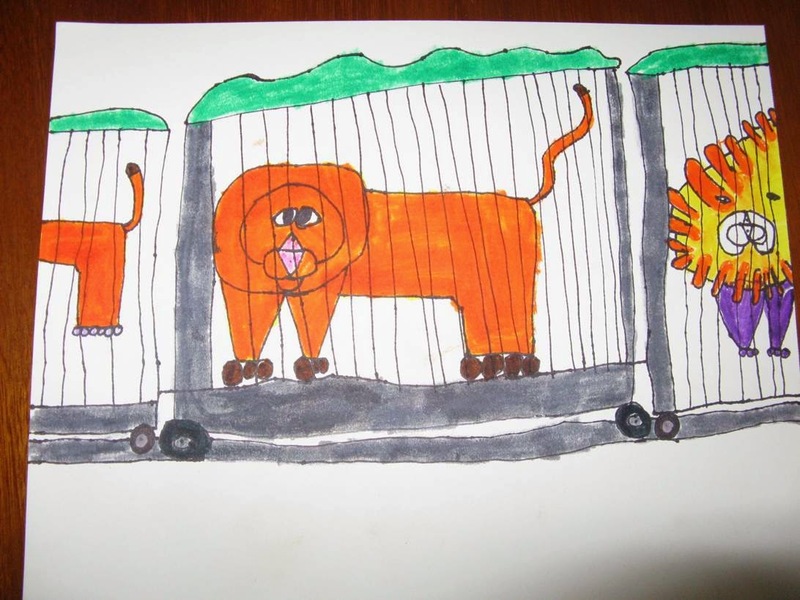 We completed the first two drawings – a lion and a tropical bird – breaking down each over several drawing sessions. After we had done that, though, I thought we ought to slow down and work on putting the principles we have used into practice before moving on to the more complicated lessons in the book. J So the last several drawing sessions we've done, we've chosen a picture book with fairly simple line drawings from our shelves and put our skills to work in trying to reproduce them. This has been a lot of fun. It's been good practice too, cementing the skills we've learned. 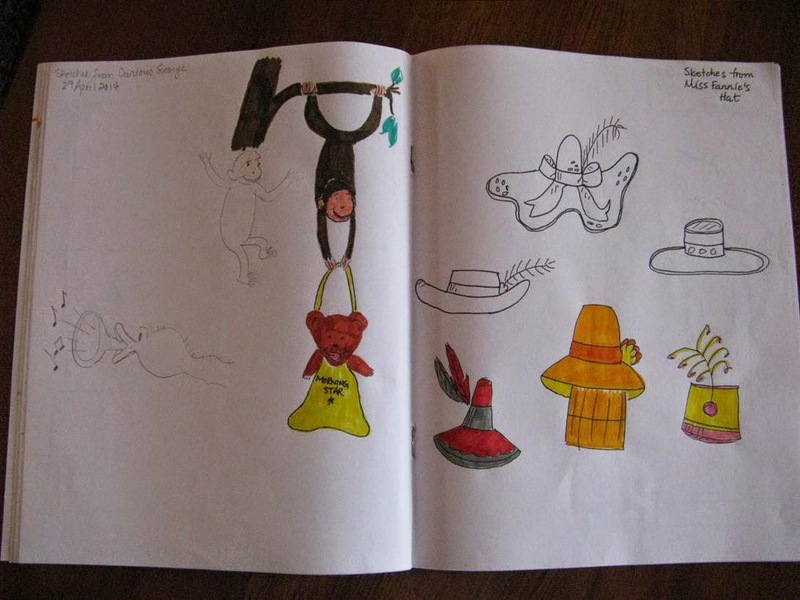 It's also made it more natural to carry over the skills we've learned from this book into our other drawing. I'm far more pleased with my nature journal sketches now than I was a year ago, and I can't help but think that the principles in this book have helped with that. 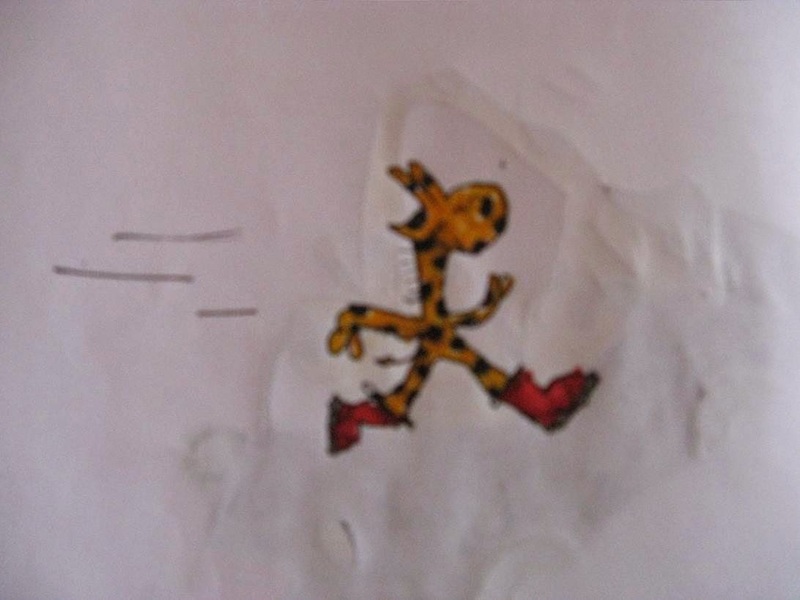 Michelle's reproduction of Camille, our favorite French giraffe. 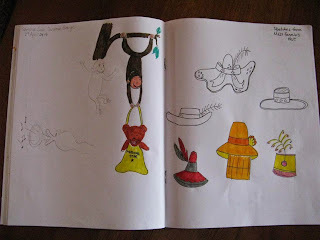 From Mama's sketchbook - Curious George and some of Miss Fannie's hats. That's as far as we've gotten, really. The next lessons include still-life drawing and volume drawing (we may work through Bruce McIntyre's Drawing Textbook or Mark Kistler's You Can Draw in 30 Days when we get to that point, both of which we have on our shelf, and both of which go through three-dimensional drawing techniques in more detail.) Although I had a weekly drawing session scheduled in our school day last year, we didn't always get to it – perhaps every other week, on average, was more realistic. With a second student officially joining us this fall, I'm rethinking our schedule and actually thinking of moving our drawing time to the evenings. We have been building a habit of doing something special together as a family after dinner so we might try having a drawing time on occasion at that time of day instead. I hope that we will be able to be more consistent about doing it regularly. J We'll see. 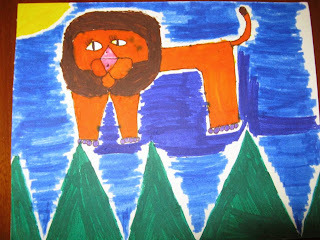 Do you have a favorite resource for art or drawing instruction? Thank you for this post and mentioning the resources at Donna Young! I picked up the book for $1 at the curriculum sale this month to enjoy with several of my children - this will help us get started. Yes, finding those lesson plans on Donna Young were what finally helped me pull that book off the shelf and actually use it. I didn't follow them exactly, but it was the hand-holding I needed to move myself from feeling overwhelmed by the book and actually jumping in. The pictures are great. I haven't done that well with DWC - probably not consistent enough, although I'm having better success with my 9 yr old who loves drawing; have used the other two books with both extremes - the dc who loved drawing & the others who said they couldn't draw. They were excellent for both but especially my dc who didn't think they were good at drawing. It is a skill that can be learnt. That's been the take-away for me with this book too - that drawing can be learned. I never have had any art instruction, and have never been happy with my drawing efforts until the past year or so. I attribute that to regular nature drawing and working through this book with my kids. It really has made a difference. We just started with this book this week, and I am SO excited to discover the Donna Young resource you mentioned! Thank you!